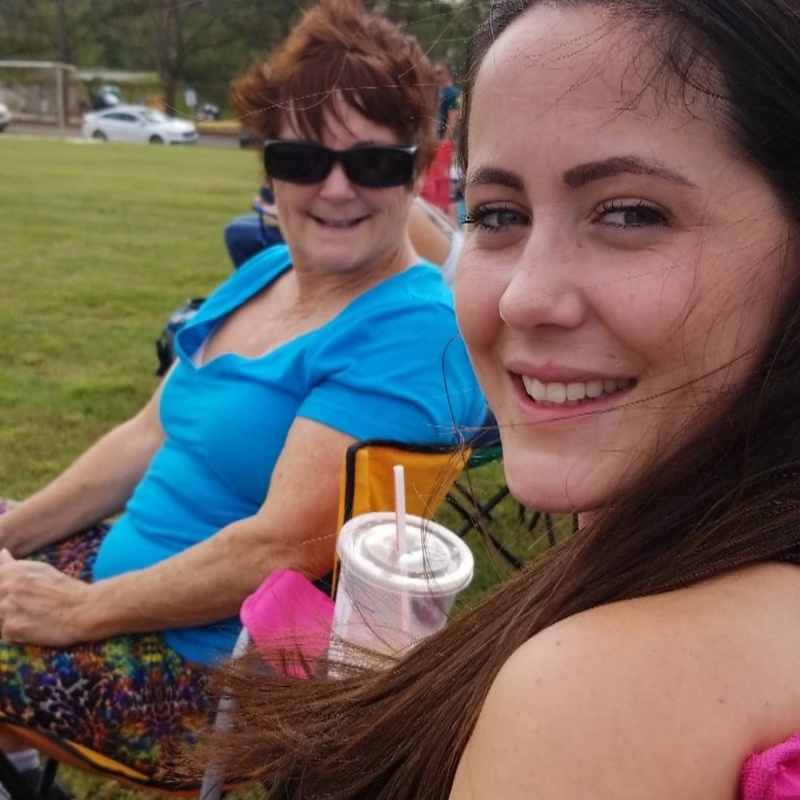 Jenelle Evans is reconnecting with her estranged mom. The 26-year-old "Teen Mom 2" star and her mother, Barbara Evans, had a family outing Sunday with Evans' husband, David Eason, 9-year-old son Jace and 20-month-old daughter Ensley. Evans and her family visited a pumpkin patch in their home state of North Carolina. Eason shared a slideshow of photos on Instagram, including a picture of Evans with her mom and kids. "Hot pumpkin spicey! #fall #pumpkin #family," he wrote. Evans is parent to Jace with Andrew Lewis, 4-year-old son Kaiser with Nathan Griffith and Ensley with Eason. She and Barbara also spent time together Saturday at Jace's first soccer game of the season. "We are all so proud of Jace, he is a magnificent soccer player! I'm also very proud of Jenelle and Barb for working together and getting along so well!" Eason captioned photos from the game. Evans has feuded with Barbara since giving her mom custody of Jace. The pair reached a custody agreement for Jace in May 2017, with Barbara to maintain primary custody and Evans to have visitation rights. "[I] just want to spend time with my son. He will be home one day, but today wasn't the day, sadly," Evans told E! News at the time. "I'm really happy we could come to a decision for Jace but it doesn't change my feelings toward my mom," she said. "She still isn't giving up my son to me but I will fight again in the future when the time is right." Evans came to fame on the MTV series "16 & Pregnant" before starring on "Teen Mom 2." The show co-stars Kailyn Lowry, Leah Messer, Chelsea Houska and Briana DeJesus.